A day at the zoo. What fun! 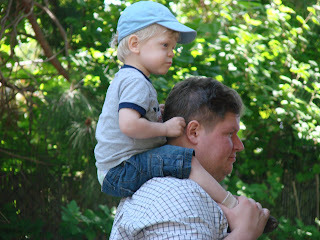 Daddy and son wait in line for the zoo train, while mommy stalks them with the camera! For a couple more pictures of my little charmer click here. I'll be back tomorrow with 5 tips to help relieve your baby's constipation!